Dr. Bobby Birdi is one of North America’s very few Certified Dual Specialists in Periodontics and Prosthodontics (Periodontist & Prosthodontist), and the first and only specialist in the world to attain Canadian and American board certifications in both Periodontics and Prosthodontics. He received his dental degree from the University of Saskatchewan and his post-graduate specialty training in both periodontics and prosthodontics from the University of Minnesota. He is a Fellow and Examiner for the Royal College of Dentists of Canada, and a Diplomate of both the American Board of Periodontology, and the American Board of Prosthodontics. 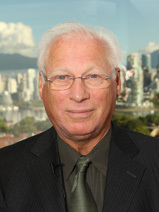 He is also an active member of the Canadian Academy of Periodontology and the British Columbia Society of Periodontists, as well as the Association of Prosthodontists of Canada and British Columbia Society of Prosthodontists. Dr. Birdi is an adjunct Associate Professor at the University of British Columbia and the University of Minnesota, where he is involved in multiple dental implant research projects and clinical trials. He also actively lectures both nationally and internationally in the fields of implant surgery and prosthetics, as well as aesthetic dentistry. Dr. Birdi is presently the co-director of the Pacific Implant Institute located in Vancouver, Canada, which is a learning centre for his fellow dentists. Dr. Birdi loves spending quality time with his family, and enjoys sporting events, exercising, and travelling in his spare time. Dr. Birdi and Dr. Zokol are frequent guests on Vancouver Consumer, a radio show on CKNW AM980, one of the area’s top radio stations. Dr. David V. Bridger (B.Sc., D.D.S., M.S.D. 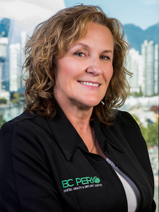 FRCD(C)) has practiced as a certified specialist in Prosthodontics in Vancouver, BC since 1980. He completed his dental degree at McGill University and his Prosthodontic training at the University of Washington. He has extensive experience in the restoration of implants for over 30 years, and has been providing implant surgery for over 15 years. Which many of his patients have been with him for just as long, and have become part of the dental family. 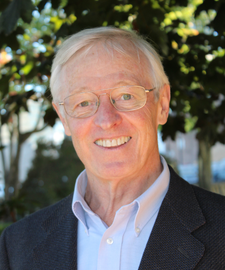 Dr. Bridger’s specialties and interests are in implant and restorative dentistry and he has taken a series of intensive courses over the years to maintain his knowledge of the latest procedures and techniques. Over the course of his career, he has been able to provide his patients with quality care that has allowed them to maintain function and a healthy smile throughout their whole lives. Dr. Peter Munns is a Certified Specialist in Periodontics (Periodontist) and has over 30 years of experience in helping patients as a specialist in BC. He received his dental degree from the University College Hospital in London, UK, and then completed his post-graduate specialty training in periodontics as well as his master’s degree from Boston University. Dr. Munns has taught undergraduate and graduate-level periodontics at the University of Washington, the University of British Columbia, and Vancouver General Hospital. Dr. Munns shares his interest in periodontal, reconstructive and dental implant procedures through a myriad of lectures and consulting work. He has previously served as the President of the Canadian Academy of Periodontology, and the Dental Specialists Society of British Columbia. 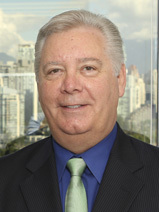 Throughout his career, Dr. Munns has also served on various committees for the American Academy of Periodontology, the British Columbia Society of Periodontists, and the Vancouver and District Dental Society. Among other prestigious institutions, Dr. Munns is a member of the College of Dental Surgeons of British Columbia, the Canadian Dental Association, the Academy of Osseointegration, the Canadian Academy of Periodontology and the British Columbia Society of Periodontists. 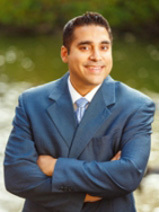 Dr. Munns enjoys writing poetry, singing opera, travelling, and spending time with his family in his spare time. Dr. Zokol is proud to acknowledge his 20 years of practice partnership with his father, a certified specialist in prosthodontics. Prior to his involvement with implant dentistry, he became recognized for his restorative skills with direct and indirect gold restorations, resulting in him being awarded “Clinician of the Year” by the American Academy of Gold Foil Operators award in 1997. Dr. Zokol is a Diplomate of the American Board of Oral Implantology/Implant Dentistry and of the International Congress of Oral Implantologists. He holds Fellowships in the American Academy of Implant Dentistry, the American College of Dentists, and the Academy of Dentistry International. He has over 25 years of experience in implant dentistry and has spent more than 10 years as a surgical instructor for the Misch International Implant Institute. Over the last 30 years, Dr. Zokol has been appointed to many posts in numerous dental associations, including the presidency of the Vancouver and District Dental Society, Chair of the General Examination Committee, and Chief Examiner for the College of Dental Surgeons of British Columbia. Dr. Zokol has lectured internationally for many years in the field of Prosthodontics and Implant Surgery and is presently the director of the Pacific Implant Institute located in Vancouver, Canada, which is a learning centre for his fellow dentists. Dr. Zokol lives in Vancouver with his wife, Marie and their three sons. Dr. Faraj Edher is a Certified Specialist in Prosthodontics. He received his dental degree from the University of Sharjah College of Dental Medicine, and then continued his Masters in Craniofacial Science and post-graduate specialty training in Prosthodontics at the University of British Columbia. He is a Fellow of the Royal College of Dentists of Canada, and an active member of the American College of Prosthodontists, Association of Prosthodontists of Canada, and the Canadian Association of Restorative Dentistry and Prosthodontics. He has founded, co-founded, and is actively involved with several international dental associations, and has represented Canadian dentists and dental students at multiple international platforms. Dr. Edher regularly gives presentations, seminars, and workshops, both locally and globally, on a range of different topics. These topics include generalized and specialized lectures and presentations related to Prosthodontics; more specifically focusing on digital dentistry, implant dentistry, treatment planning, and aesthetic rehabilitation. Dr. Edher also conducts seminars and workshops on Education and Career Options in North America; and training in Leadership and Management. His current clinical and research interests are focused on complex implant reconstructions, aesthetic rehabilitations, and the applications of digital technology in dentistry. 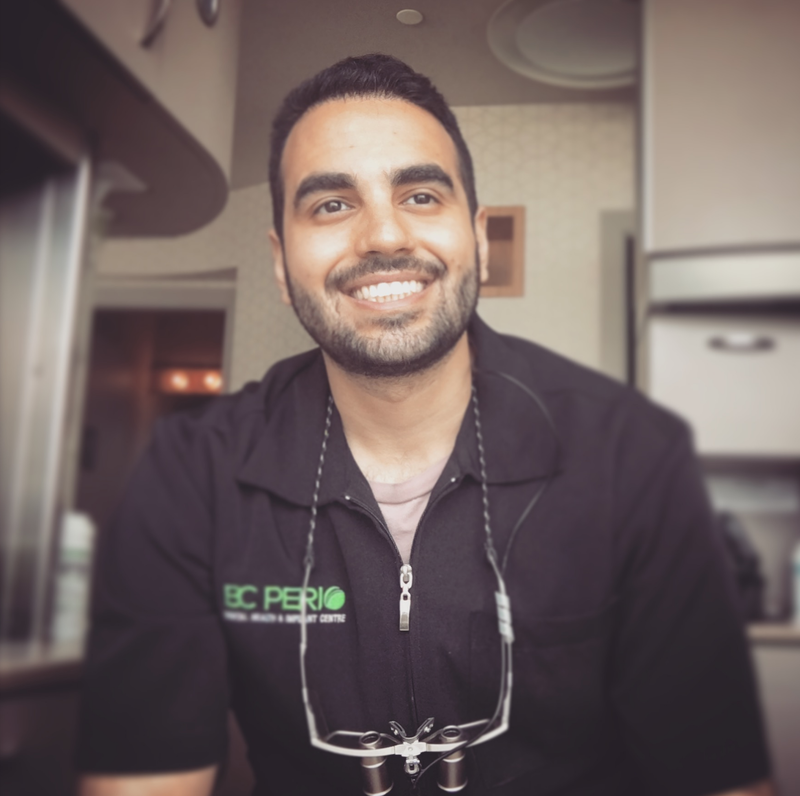 In addition to practicing full time with BC Perio in Vancouver and Coquitlam, Dr. Edher is a Clinical Assistant Professor and guest lecturer at the University of British Columbia, and has numerous publications in areas such as dental implants and digital dentistry. 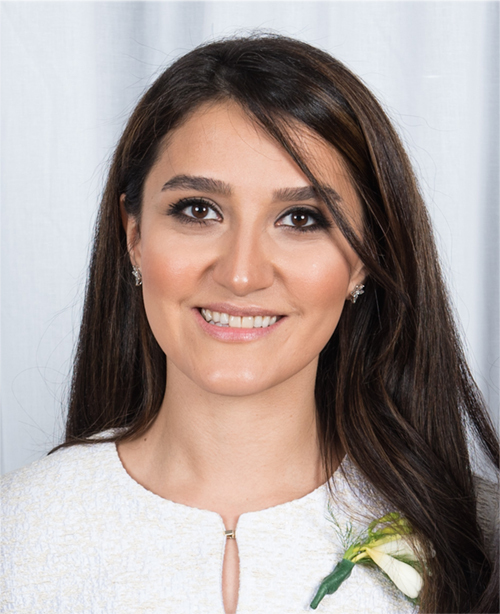 Dr. Rana Tarzemany (DDS, PhD, Dip Perio, FRCD(C)) received her dental degree from Azad Tehran Dental School, and then continued her graduate studies in the field of combined PhD and Diploma in Periodontics at the University of British Columbia. In her research, which centers around the molecular mechanisms of wound healing and scar formation, she has received outstanding recognition and academic achievements. In 2015, she was the winner of the highly prestigious international Volpe Competition that recognizes the best periodontal research from the United States, Canada, Mexico, and Puerto Rico. She was the first Canadian to ever win this competition. Rana was the recipient of numerous prestigious national and international awards including Joseph Tonzetich Fellowship (2012, 2013 and 2014), B.W. Leung Award (2015), Dr. Donald M. Brunette Award (2016) for academic excellence within UBC Faculty of Dentistry, and the Osteology Education Grant for participation in the Osteology Research Academy, Harvard School of Dental Medicine (2016). She was the winner of the poster presentation competition in the UBC Faculty of Dentistry in four different occasions (2012, 2013, 2016, and 2017). She has also received CIHR Institute Community Support Travel Award (2013), the Canadian Student Health Research Forum Award (2013), Canadian Dental Specialties Association Travel Award (2016), and selected as top 10 finalists to receive the Travel Award to attend the University of North Carolina Perio 2017 Expo. In addition, she was nominated by UBC Graduate Studies, as one of the top 5% of doctoral students, to participate in the CIHR Research Poster Presentation event in Winnipeg (2014) and Edmonton (2015). Rana has authored several publications in peer-reviewed journals, and presented her research findings in various conferences within Canada and internationally. She was recently acknowledged at the 13th Annual President’s Student Leader Recognition Event by UBC President Prof. Santa Ono (2017). 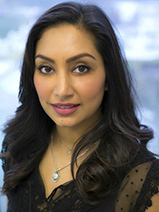 During her three-year surgical residency at UBC, Rana gained valuable didactic and clinical training in all aspects of periodontal and implant surgeries. Her ultimate goal, as a researcher-clinician, is to make a more meaningful translation of bench-top research into clinic. In her leisure time, Rana enjoys spending time with family and friends, cooking, baking, and poetry. Angus became a dental technician in 1987 after completing the dental technology program at Vancouver Community College and worked for both his father’s dental laboratory as well as Turner Dental Lab on Vancouver Island before moving to Vancouver in 2002. Since 2002 Angus has concentrated on implant restorations and the growth of CAD/CAM technology in the dental laboratory. He as worked as implant department manager for Fine Arts Dental Lab, operations manager for UniNature Dental Enterprise and general manager for the Aurum Group lab in Vancouver. Angus has experience with Dental Wings, 3Shape, NobelProcera and other CAD software as well as 3M and Roland milling machines. He is currently Chair of the College of Dental Technicians of BC and a member of the PAC for Dental Technology program at VCC. When Angus is not at work he enjoys activities with his dogs and motorcycling.